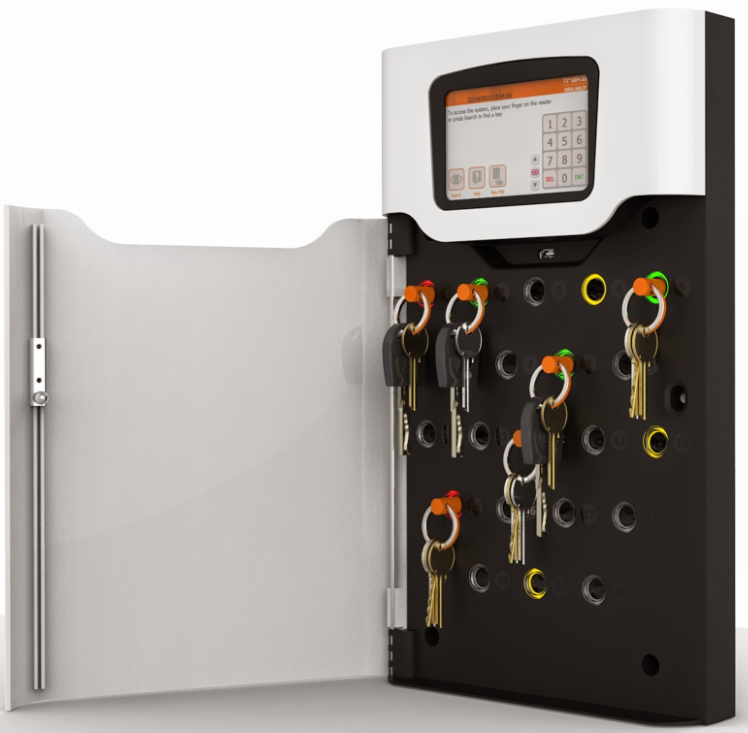 The Traka 21 is an intelligent key management system allowing you to monitor and control all keys and keys sets in a variety of commercial environments. The innovative plug ‘n’ play arrangement is both simple and efficient whilst remaining cost-effective. Authorising, securing, and monitoring all of your keys, each individual key or key set can be locked in place and only released with a specific authorisation code. Once the PIN has been entered green LED lights indicate those keys to which the user has access and will therefore not be able to remove keys highlighted by the red LEDs which continue to remain locked in place. Audit trials and simple reports can be displayed on the Traka 21 cabinet’s display or exported via a USB for further reviews and analysis. Robust and compact steel housing eliminates exposed hinges and obvious access points. *free delivery to site at an address on the UK Mainland, or contact us for a quote to have our qualified engineers fully installed your safe.